Our Coeur de Cactus Replenishing Serum (cactus oil) quickly absorbs into skin for fast nourishment. Improvements in skin health and smoothness can be seen as early as 15-21 days. 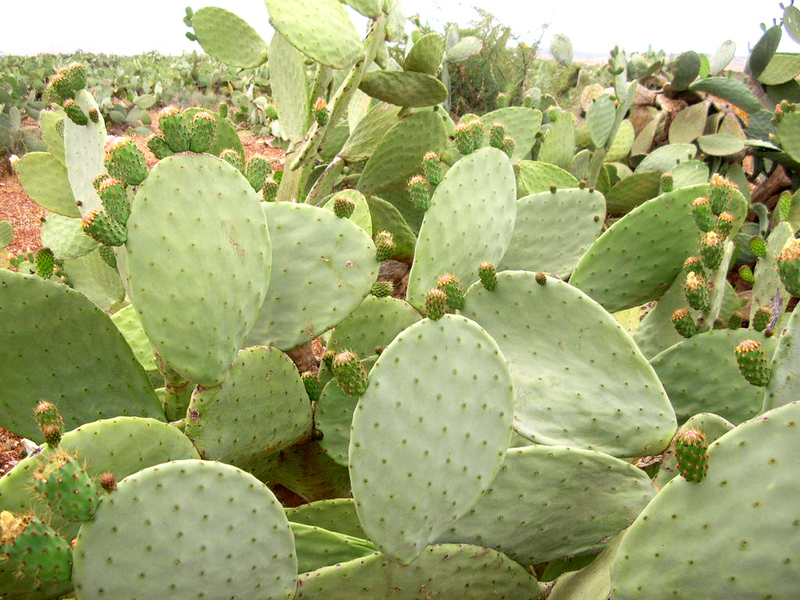 Extracted from prickly pear fruit of the Southern Morocco desert, our cactus oil carries a unique composition. Cacti in this specific region retain hydration for 9 months, soaking up vital nutrients from the soil as well as minerals from the neighboring Atlantic ocean. We work exclusively with cooperatives in small Berber villages that employ and encourage Moroccan women to be financially independent. Empowering women is an essential part of our mission at Héritage & Terre. Our cactus oil is 100% pure, natural and undiluted. There are absolutely no additives, solvents or chemicals. We use first cold press extraction, a method that yields the purest oil that retains its natural roasted aroma and full nutritional value. We support small batch extractions and organic farming methods to ensure superior quality of our cactus, and prevent over-farming of the land. Cacti also curb soil erosion, keeping the land vital and in turn, providing steady employment for the surrounding community. Abundance of vitamin E deeply moisturizes skin, increasing hydration and elasticity. High concentration of omega 6 and omega 9 essential fatty acids slow down aging process by stimulating skin cell regeneration. We add a touch of Damask rose oil to our cactus serum – its natural anti-inflammatory properties calm and rejuvenate skin.